On the short flight from Lukla to Kathmandu I tried to reflect on my long journey that started also in this vibrant city, long before the first earthquake. 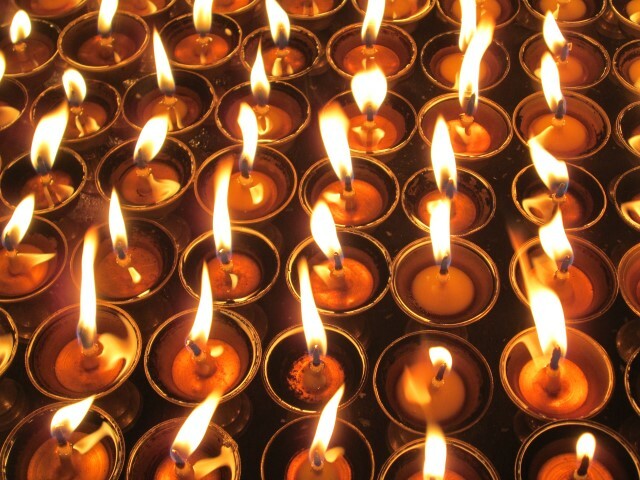 I remember that I was full of enthusiasm when I left town together with Lhakpa in a bus full of expedition equipment. Once the Twin Otter had landed, I realized that things had changed here. 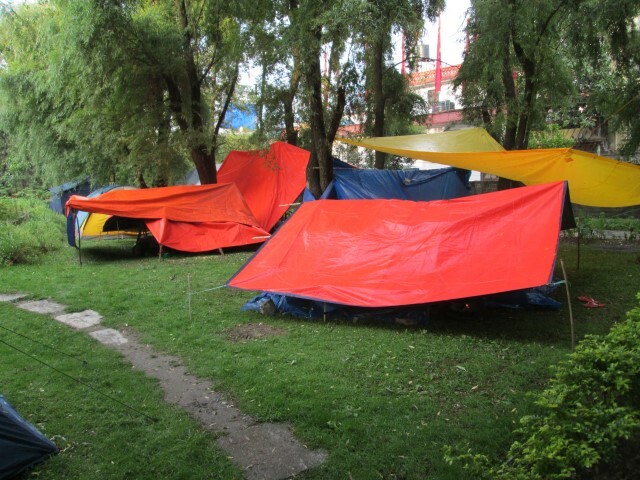 There were a lot people sleeping in tents in public parks or in open fields. I had a feeling that there were a lot more people outside now than after the first earthquake, but maybe I was just overwhelmed by the damage and number of people I saw in these huge “tent towns”. Once I arrived in the hotel, I also realized that the foundation of this building had suffered in the second earthquake, but the hotel itself seemed to be stable (I had been told…). 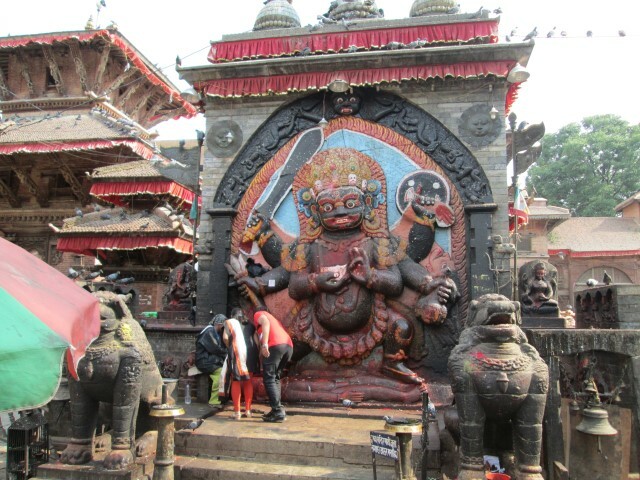 And Kathmandu experienced eight (!) aftershocks the day I arrived and one was of a magnitude 5.3. This was not a “warm” welcome and I did not feel very good about it. I was just repacking my bags in my room at that time the earthquake hit, and, believe me, I left the hotel very fast and I tried to stay outside as long as possible. Yes, sleeping in a tent is the only way to find some kind of an “inner peace”, especially, when aftershocks are expected and nobody knows when and how long they will last. Unfortunately, I had no tent at this point, but I also strongly believed that any local person would deserve a tent much more than I did at this point. 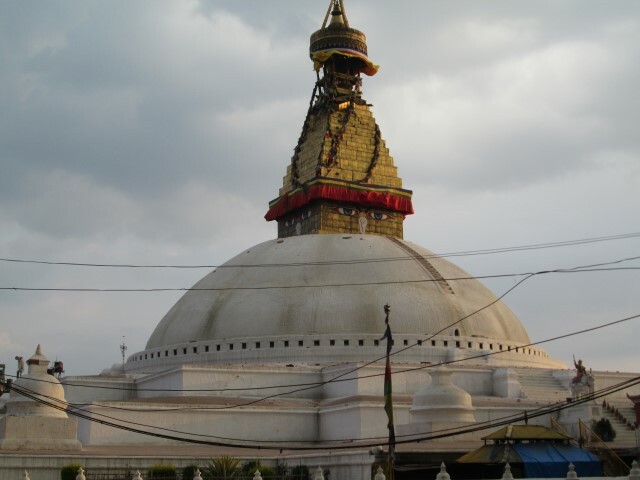 I will be leaving this city soon, and they will have to stay for many more months, even during the Monsoon season, which means a lot of rain in the Kathmandu valley. The next few days I walked around in the city, even when my friends told me it would be best to stay near the hotel. I just wanted to find out if there is anything I could do, if not now, than maybe when I come back later this year. 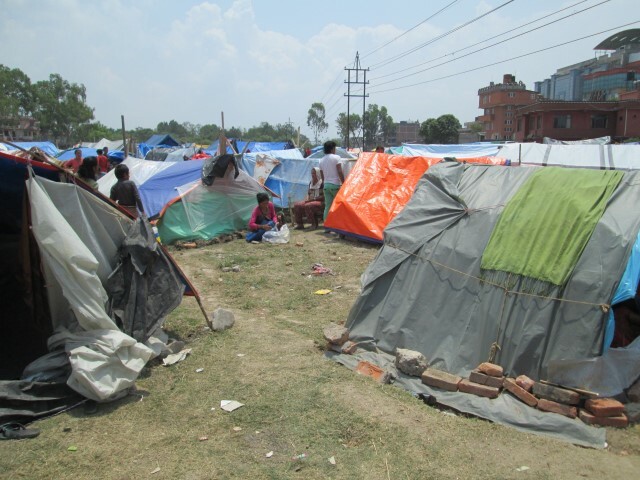 So I started to visit some of the “tent towns” and was just overwhelmed by the condition and the size of these places. In the one area I really spent time, there were only a few tents. 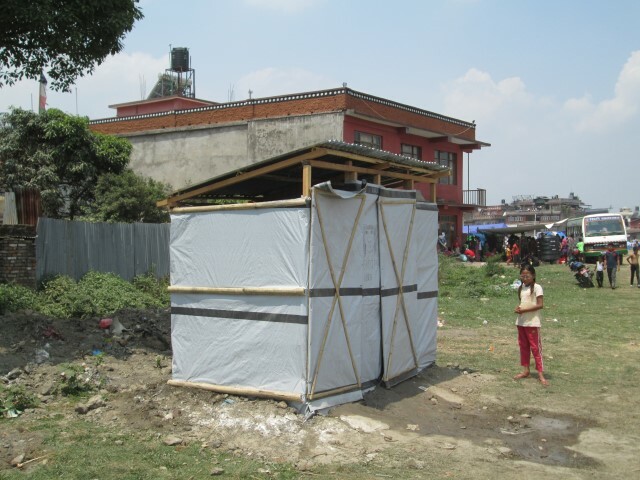 Most of the places used tarpaulins, some looked like good quality, others used just big plastic sheets. 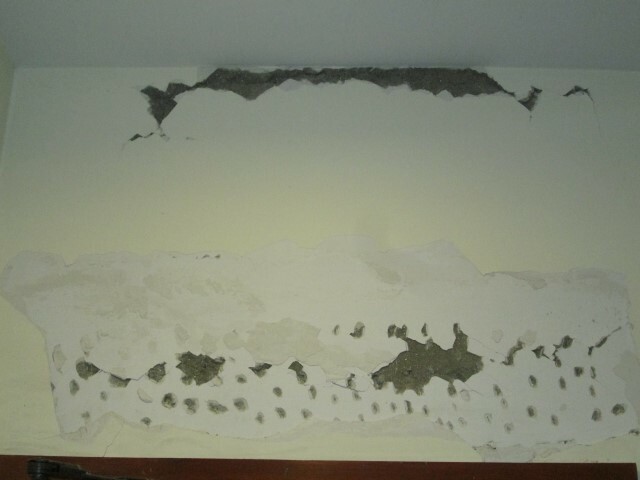 It was heartbreaking to see the conditions some of the people lived in. What a big difference to the small Sherpa villages I have spent the last few weeks. I have been told that there were about one thousand people here. It was a hot day, and many people suffered from the head, and I knew that soon the Monsoon rain will change this whole area into a mud field. 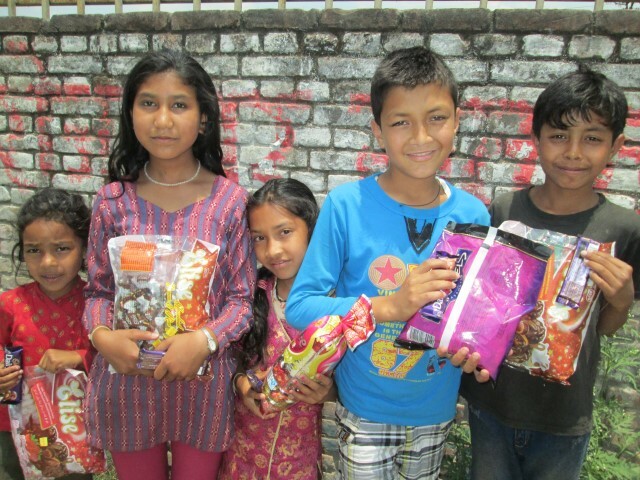 Some children I met on this camp showed me around. There were only two big water tanks and about 20 toilets. Not enough for all these people. 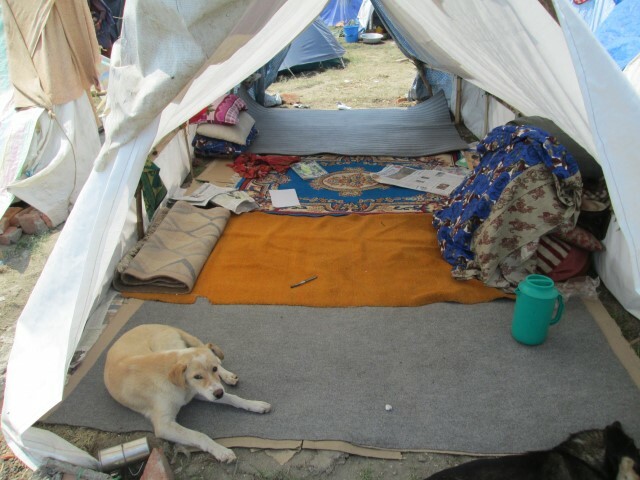 There were mothers with their small children and whole families sleeping on carpets in their tents. I asked if the government gave them some tents or tarpaulins. The answer was a clear No. Most of the tarpaulins came from private organizations or people did buy them themselves. There was almost no tent on this huge field. I really had the intention to help somehow while I was there, but where do you start? 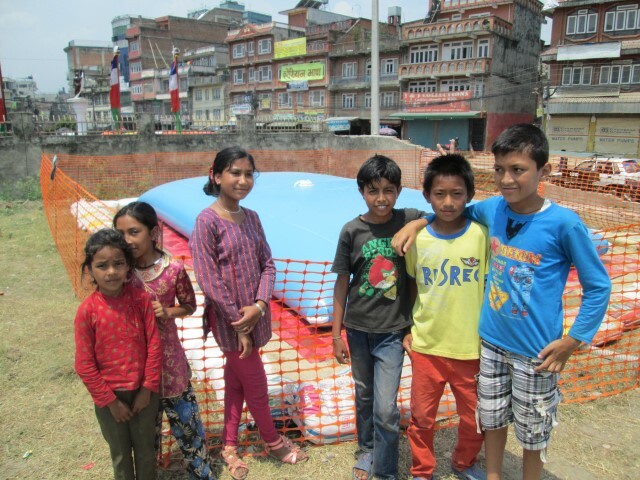 At the end I did buy one big tarpaulin for one large family (and this was a very difficult process because Kathmandu was “out of tarpaulins”…). This was a very sad experience and later on when I met a kind of a “camp manger” he told me that as an individual there is nothing I could do. 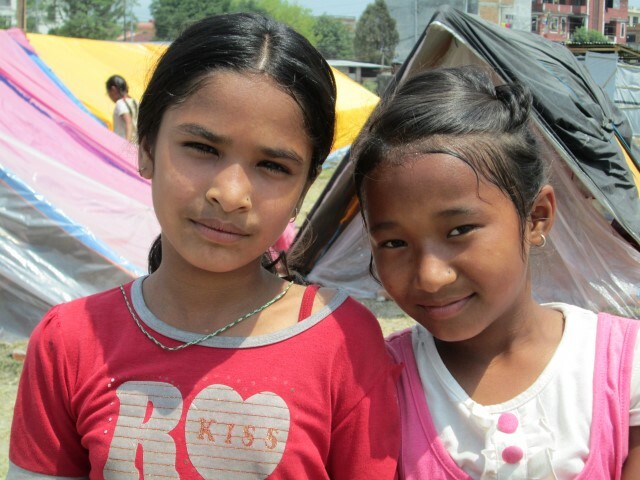 The next day I talked to my Sherpa friends in Kathmandu and they told me that there are other places, outside of the city, where even more equipment and tents are needed. It all looked like a never-ending task and I knew that if I really want to do something, I will have to coordinate this with people I know, otherwise things will get lost in the process (or chaos). 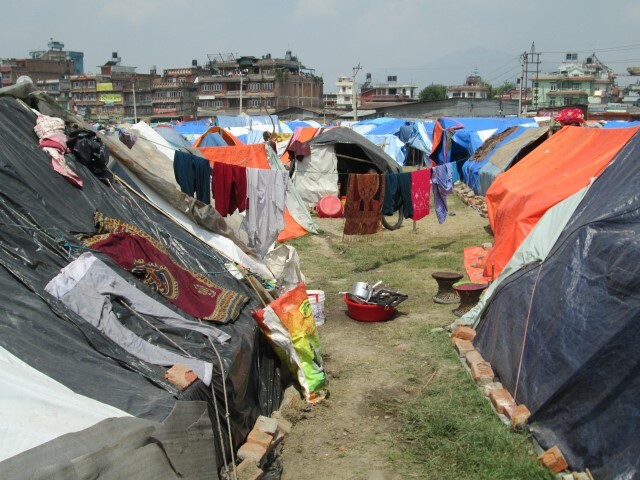 How will this “tent town” look once the Monsoon starts? 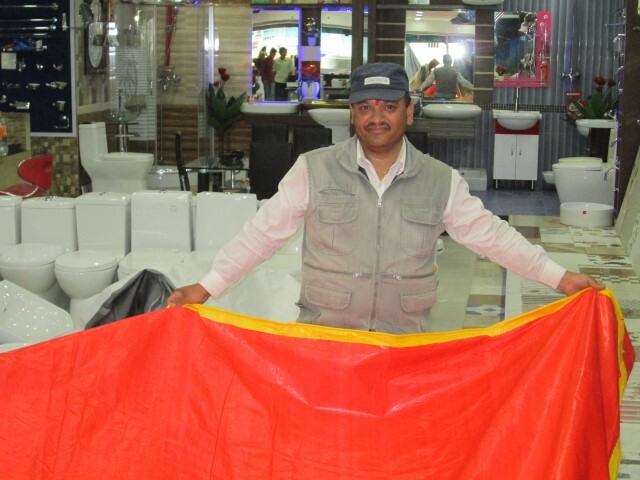 Later on I visited other parts of the city and I found parks where the tents were sponsored by foreign organizations or countries, for example China. 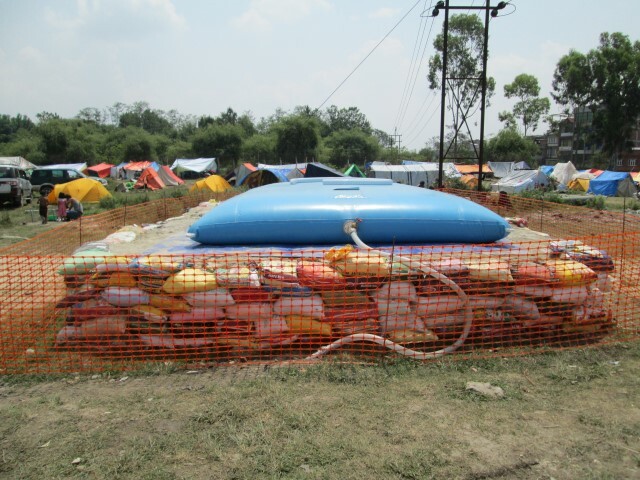 These camps were very well organized and everybody there had a large tent. All in all there were hundreds of tents, all nicely lined out and there was enough space around each of them. This was very different from the first camp I had visited before. So there was some hope. 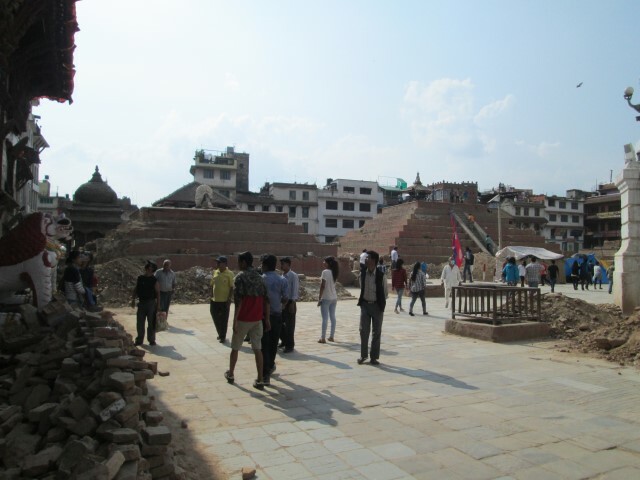 I also visited the historic part of Kathmandu and I was shocked by the destruction. 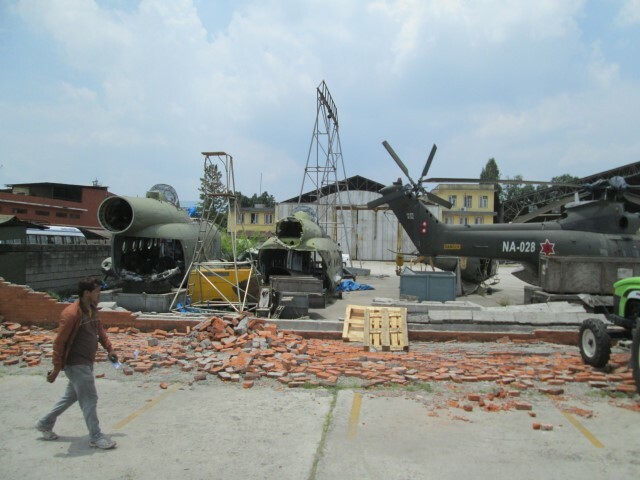 Even in the “Garden of Dreams”, usually on of my last stops before I leave Kathmandu, there were some building damaged. 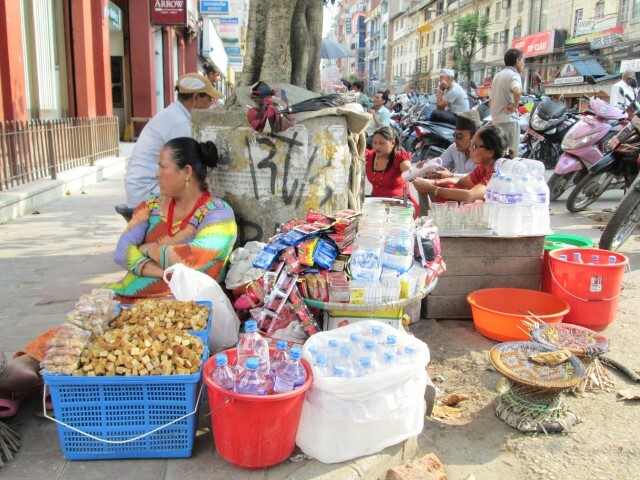 On the other hand, live goes on (it has to…) in the city, the vegetable seller sits on the sidewalk, his offerings nicely presented next to a building that is close because of danger of collapse… Taxi drivers pass by destroyed buildings looking for customers, because they have to make their living now without the tourists, and the foreign visitors were definitely gone. Looking at the city and the way the people had to live was just heartbreaking and very painful for me. 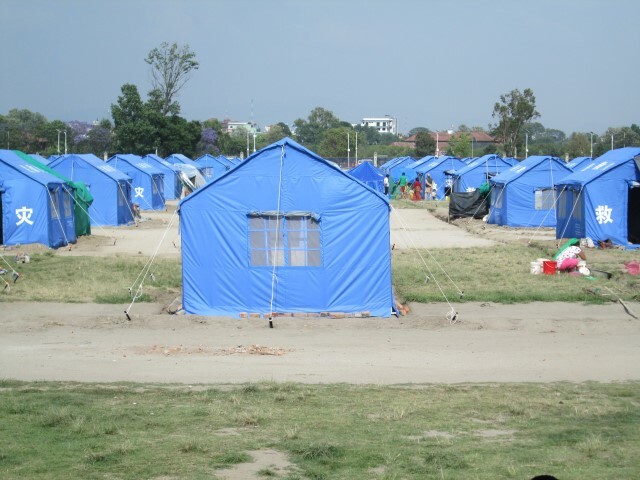 A totally different “tent town” sponsored by China – Why did the other people not get such tents? 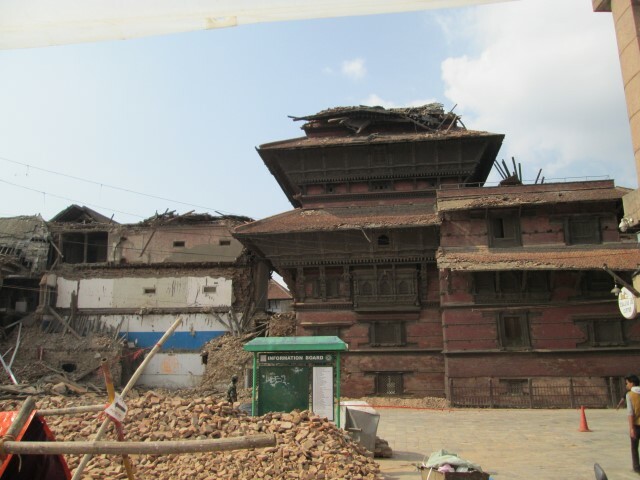 Finally, I went to Durbar Square, and I was shocked by the destruction. 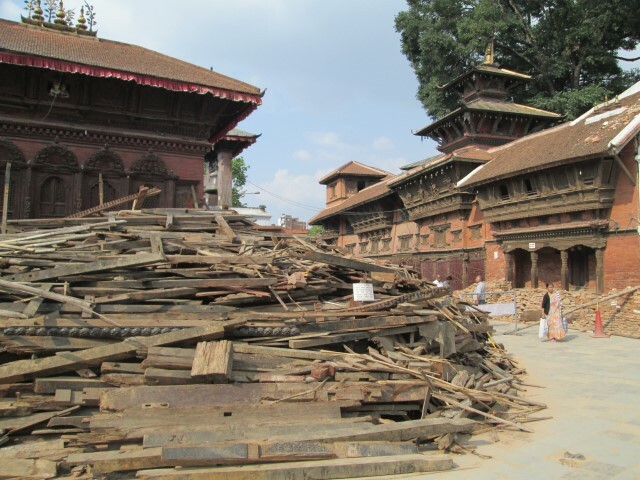 Many of the hundreds of year old palaces and temples were gone. 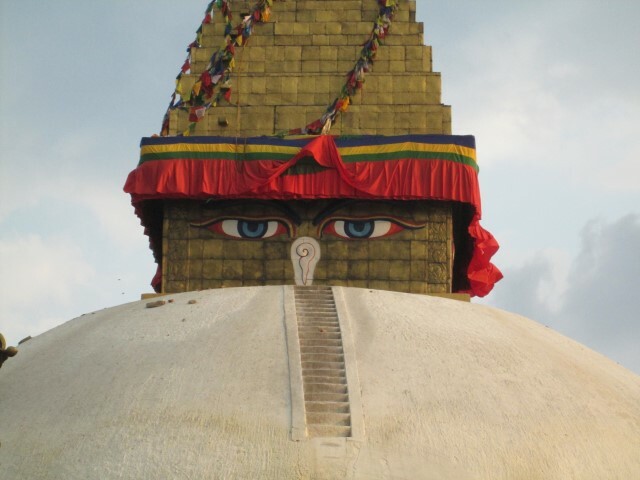 Yes, the people of Kathmandu have really suffered during these earthquakes, and the scary thing is, everybody who is here, including myself, are still afraid of aftershocks. 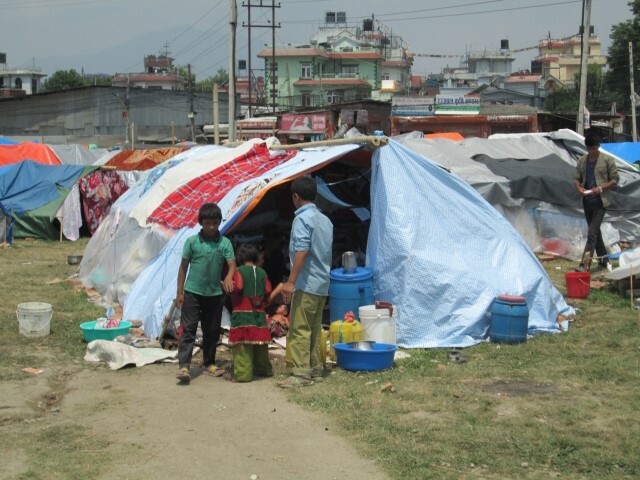 Tents only help in the open, but in Kathmandu some of the houses are built so closed together that it is difficult to put up a tent that is safe from falling rocks or walls. This is a very difficult situation and I really hope from the bottom of my hearth that the aftershocks will stop soon so that people can at least have a more or less normal life while they are rebuilding their houses. “But, old man, don’t you realize there are miles and miles of beach and starfish all along it! You can’t possibly save them all, you can’t even save one-tenth of them. In fact, even if you work all day, your efforts won’t make any difference at all. 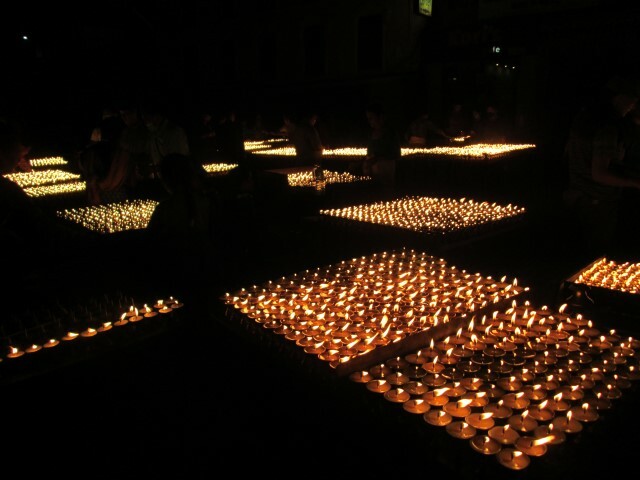 With this story in mind, I went the last time to the impressive Boudha Stupa, turned my rounds, reflected on my unusual but very inspirational journey and lighted again some butter lights for the love ones and all the people that are still suffering. It was a peaceful and spiritual moment for me. 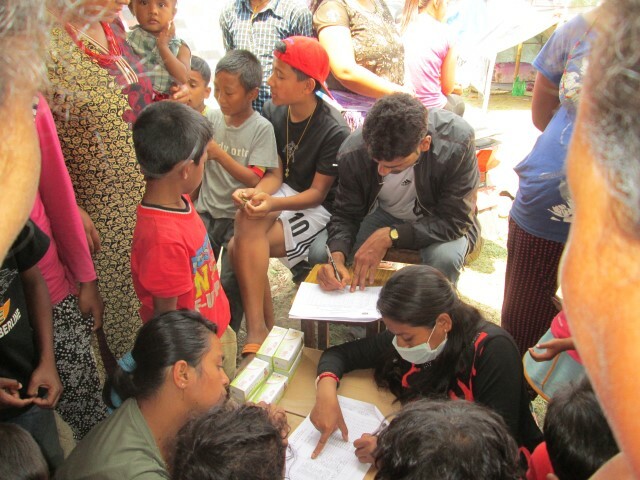 As farther away the plane moved from Nepal, as more I though again about Lhakpa’s family and all the other families I met in the Khumbu, their strengths and determination with which they overcame also this latest natural disaster. Yes, there is so much we could learn from these wonderful people and I am happy to come back later on this year. 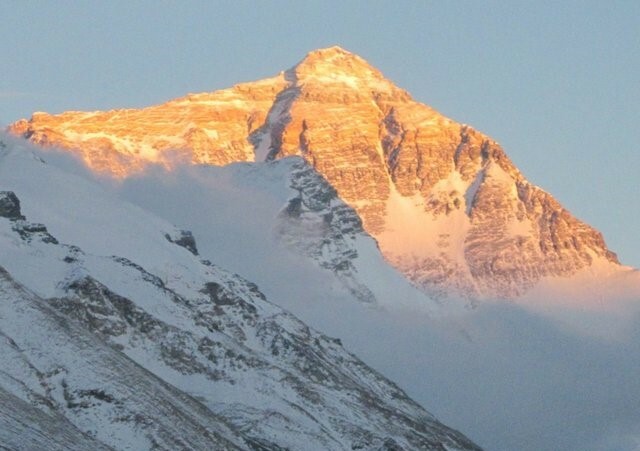 Before I finally fell asleep, I was also thinking of Qomolangma, “Mother Goddess of the Universe”, and thanked her too for all the signs she gave me, and, especially, that she let me leave the mountain healthy and full of new spirit. Thank you! At that point, I would also like to thank all the people who supported and prayed for me while I was on the mountain: My family and friends, the Lama who gave us the blessings, and especially all the Tibetans and Sherpas who made this journey possible. I know that this was not an easy time for many of you and sometimes you knew more about the actual situation then we did. Thank you! A very special thank you goes to the Sherpas, without them, no Everest expedition would be possible and I am so glad that that Chinese Government made the decision to fly all of them back to Kathmandu in a chartered flight so that they could go back to their families. There were 170 Sherpas from Nepal in Tibet at the time, so it was quite an effort, but, luckily, now they are back with their families. My thanks go also to Kari, the expedition leader, and one of the co-owners of Kobler & Partner, definitely the most experienced expedition company when it comes to the Everest North Side or any other challenging expedition in many remote corners of the world! (https://www.kobler-partner.ch/en ). What I liked probably the most about him in this situation is that once the expedition was over he provided his Sherpas and their families with all the company tents he had and sent also larger tents to areas in Nepal where they were needed. 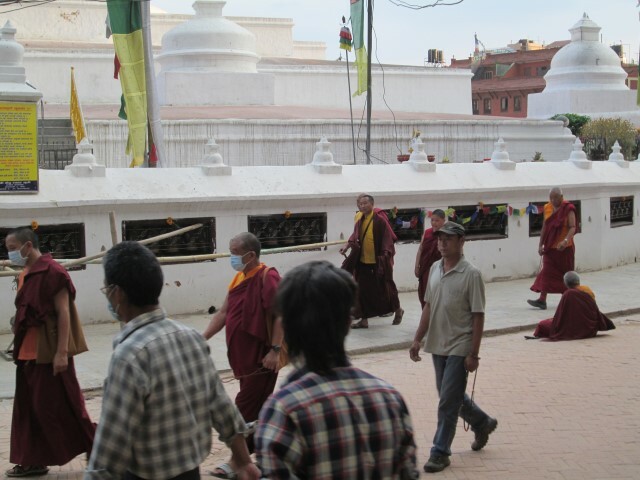 He will also help Sherpa families who lost their houses through his Relief Fund https://www.kobler-partner.ch/en/relief-fund. 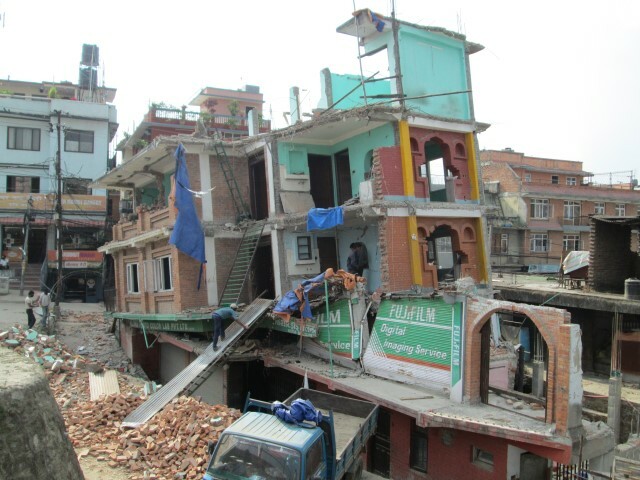 And finally, if someone likes to donate some money for a family in the Khumbu, please feel free to contact me by e-mail (urs.bernhard@gmail.com) and I will provide you with some details regarding rebuilding costs and process. Or, you can also contact Kari’s Relief Fund mentioned above. At that point I would also like to thank my sponsors Kairee Systems (who also helped me in a great way with this blog), Syserco, Coach Source and SKO for their support. Even when it has been a very difficult situation for me at the mountain this year, I could always count on their support, especially, when my focused turned from climbing the Top of the World towards helping Sherpa families in the Himalayas. Thank you very much for being so flexible! Life is vibration – We just have to “tune into” the right frequency. 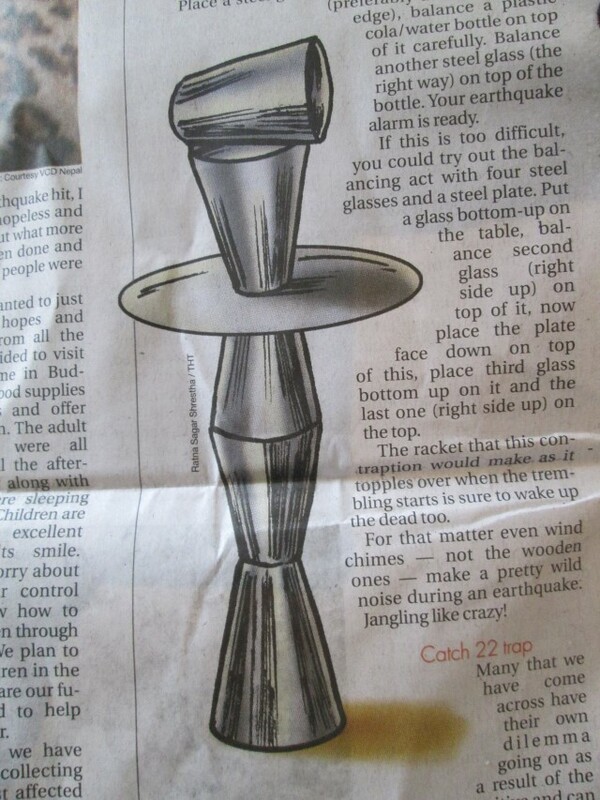 I believe that, finally, I did “tune into” the right frequency and I am really happy about it. Thank you very much again to all of you who followed this blog and supported me in so many ways. 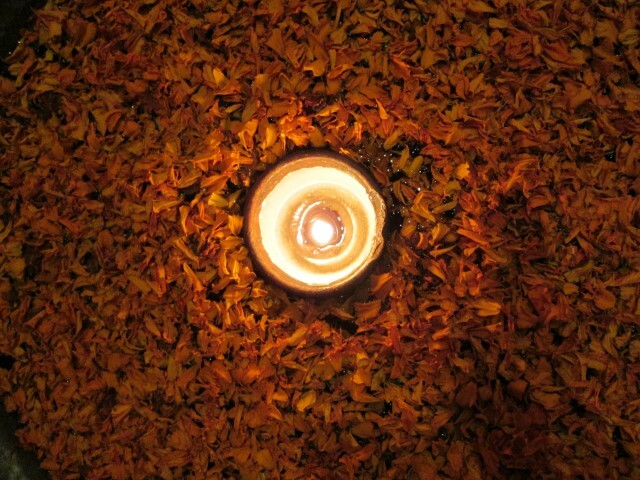 It was a good feeling for me in moments of fear to know that there are people who care and pray for me. Thank you to all of you from the bottom of my heart. And lastly, I like to inform you that I made it safely home and that this is now the end of this blog. 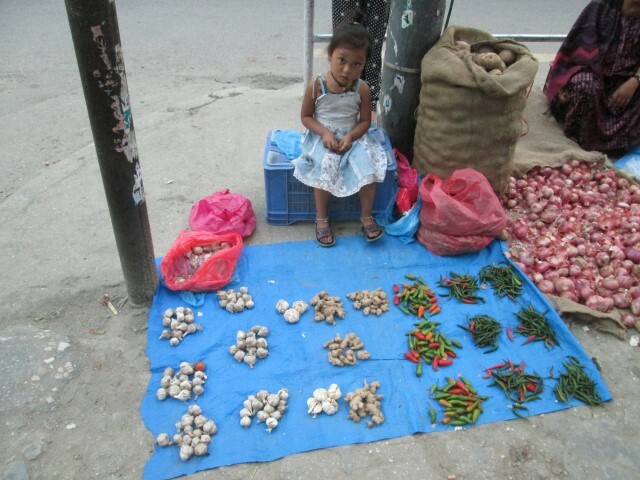 There may be another blog soon since my next journey will bring me to India and Myanmar and of course back to Nepal. Before that I wish all of you a wonderful and peaceful journey with a lot of joy, much love, good health and profound happiness! Happiness always looks small when we hold it only in our hands… But when we learn to share it, we realize how big and precious it is!